If you have a favourite piece of music that is not on the list, just ask and we'll arrange and play this for you. The String Quartet travel to weddings throughout the North East. This includes Newcastle upon Tyne, Northumberland, County Durham, Teesside and North Yorkshire. We do occasionally travel further afield, so please just ask us for a quote. In addition to the String Quartet North East Soiree can provide other professional wedding entertainment including background music for the Wedding breakfast, a ceilidh band, Jazz/swing band or wedding bands and disco for later in the evening. 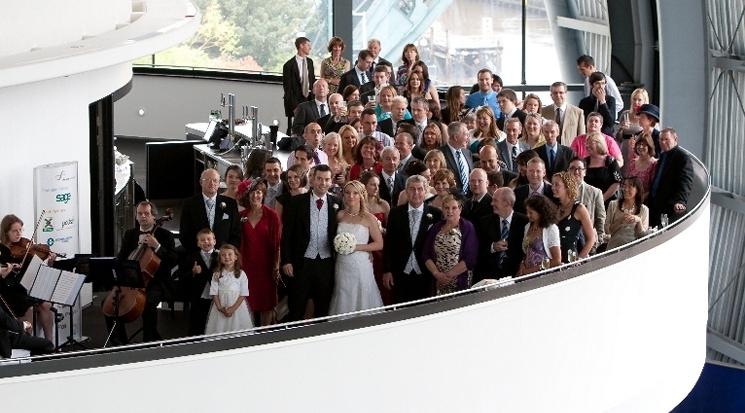 This is co-ordinated through North East Soiree who provide live music for all sorts of events. www.music-north-east.com As the same players are in the different groups, discounts are available to provide an individual full entertainment package, leaving you free to relax and enjoy your wedding day. There are several packages of wedding music available to suit your budget and needs, so please get in touch to ask for a quote or have a look at our special offers page click here for Special Offers.